On this day, 21 January 1815, the first road over the Blue Mountains, New South Wales was completed by William Cox. 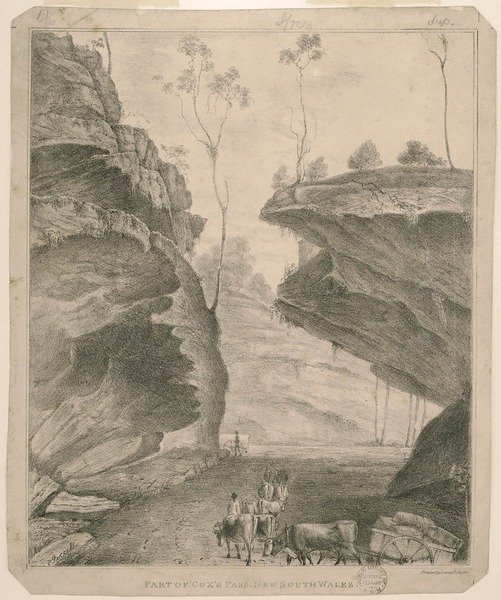 Soon after the Crossing of the Blue Mountains in 1813 by Blaxland, Wentworth and Lawson, William Cox was commissioned to build the road over the mountains, from Sydney to Bathurst, using convict labour. The original road was 3.7m wide, covered 161 km and incorporated twelve bridges. Cox was awarded 2,000 acres of land near Bathurst for his work which was commended by the Governor.